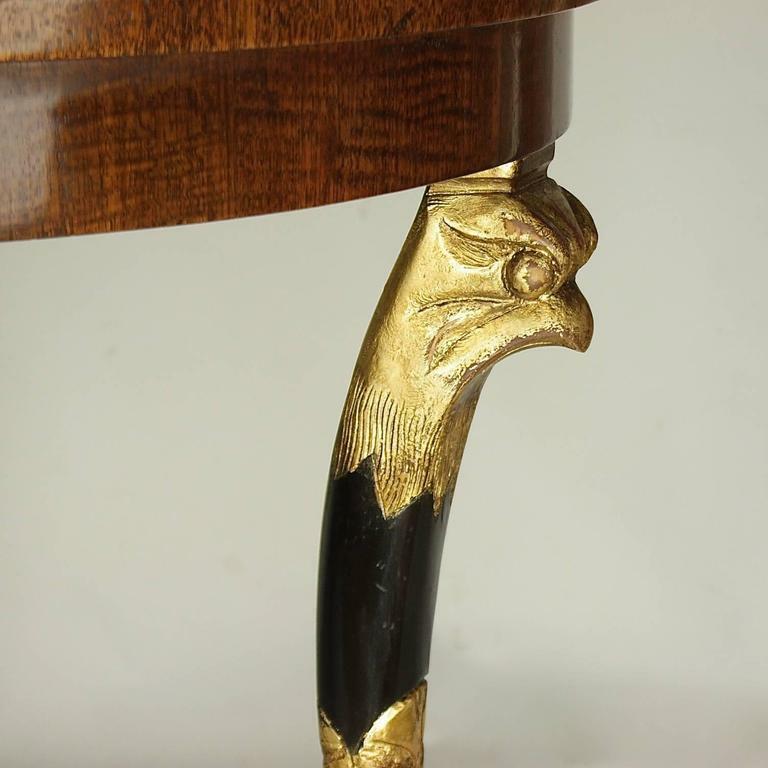 Late 19th century Empire style centre table with an eye-catching mahogany veneered tabletop and horus headed giltwood and ebonized legs. Horus is one of the most significant ancient Egyptian deities - he was the divine representation of the living pharaoh, usually shown as a man with a falcon’s head. Egyptian images enlivened Empire objects of every description since the Egyptian Campaign lead by Napoleon (May 1795–October 1799). 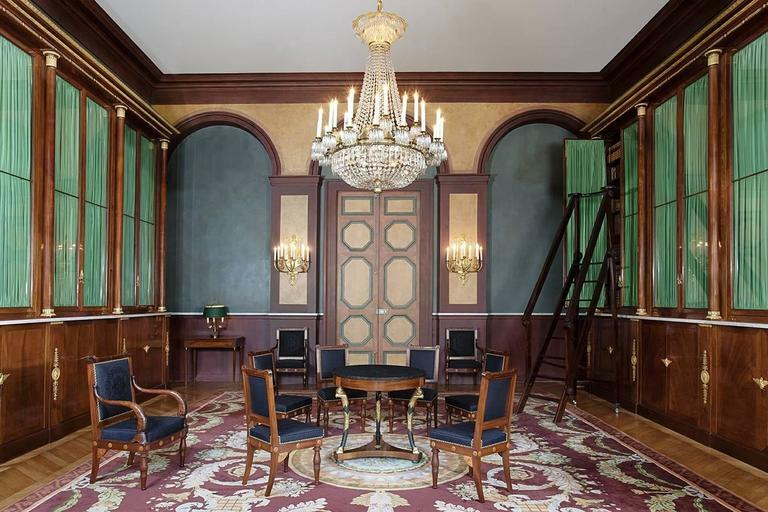 A very similar center table is currently located at the library of Prince Eugène im Palais Beauharnais (see photograph) that is presently the German embassy in Paris. 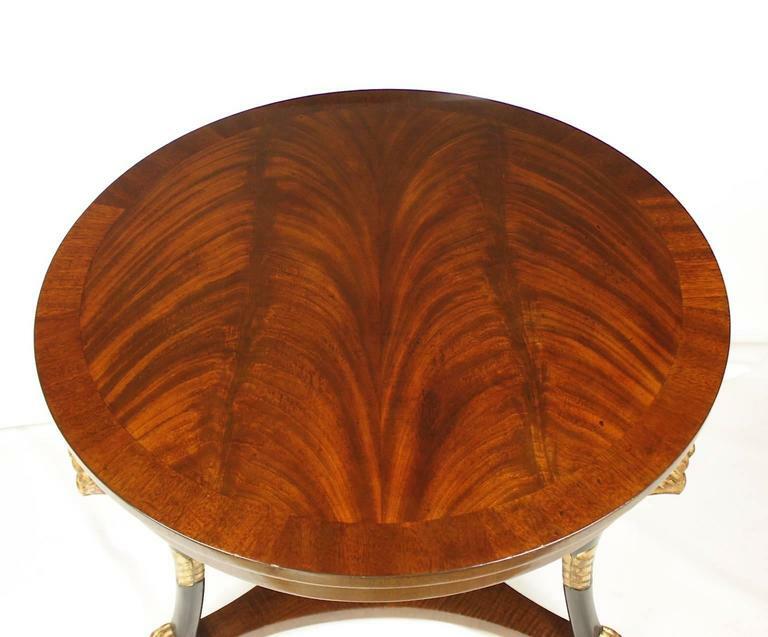 It differs only in the design of the tabletop. 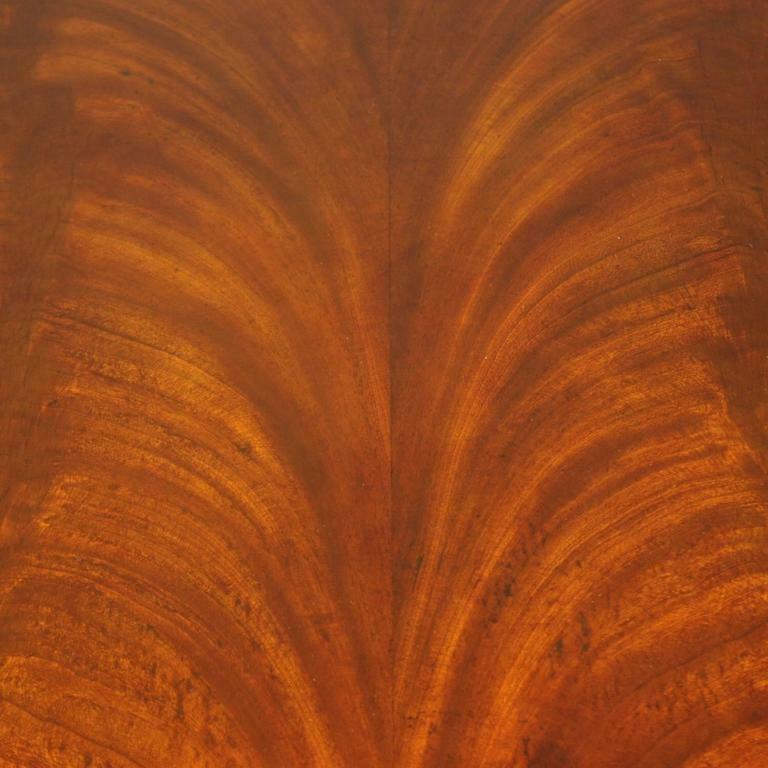 Instead of an Belgian marble our item displays a marvelously figured Cuba mahogany veneer. 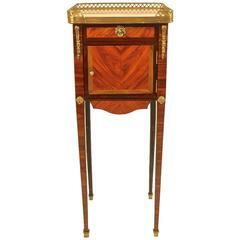 Of square form, with an inset galleried Breche d'Alep marble top above a skirted front, with one drawer and a paneled door compartment, on slender tapering legs with gilt bronze sabots. 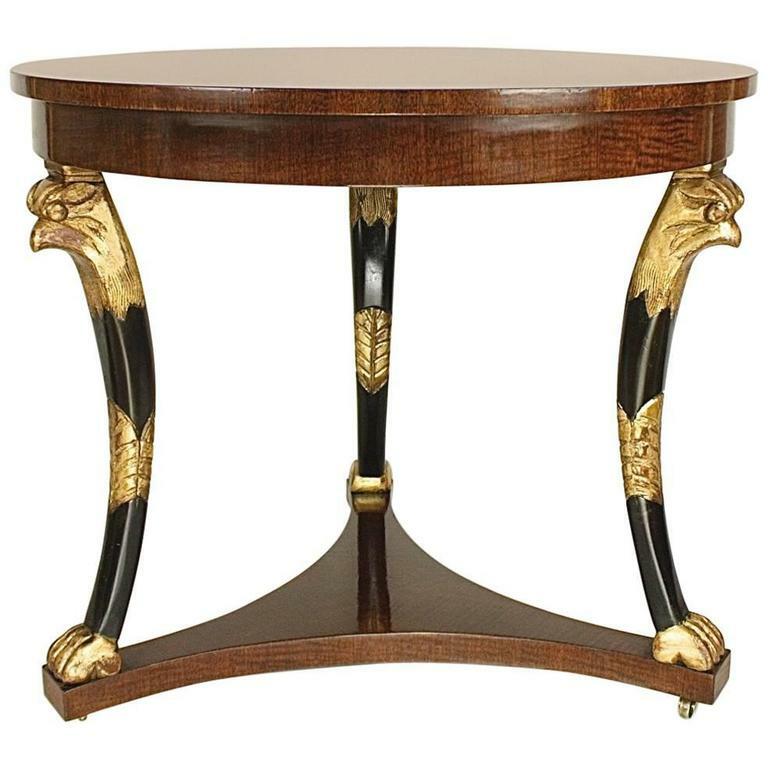 French Empire style (19th century) mahogany and bronze trimmed rectangular centre table with winged females, open stretcher, and onyx top. 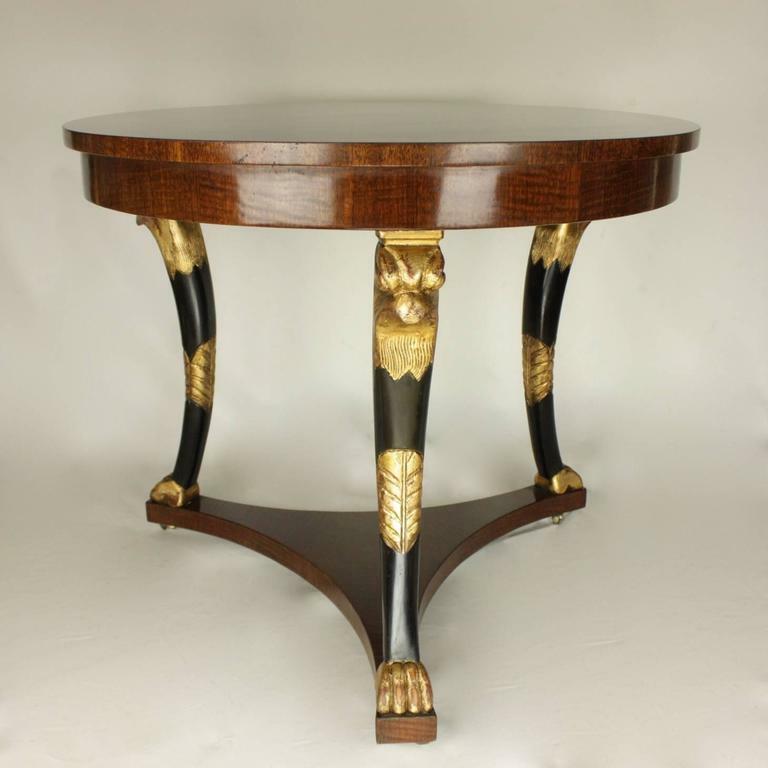 French Empire style (19th century) mahogany and bronze trimmed round centre table with heads and inlaid platform base and black marble top. 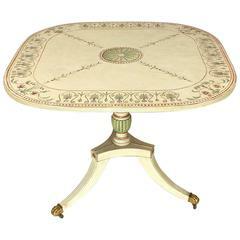 French Empire style ‘19th century’ mahogany end or centre table with bronze trim and winged griffins on legs with a green rectangular marble top. 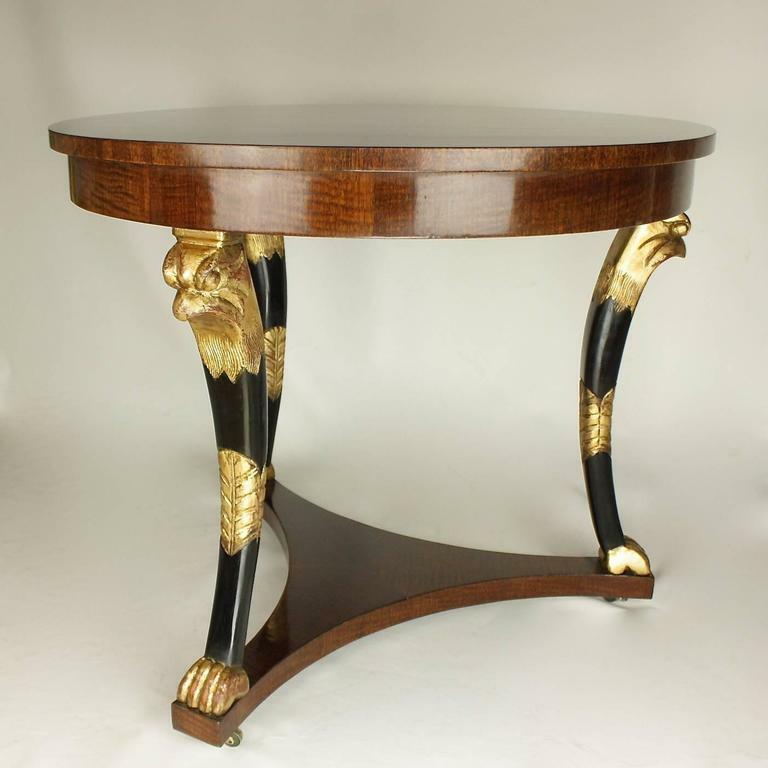 A French Empire style mahogany, giltwood and ebonized centre table, late 19th century. 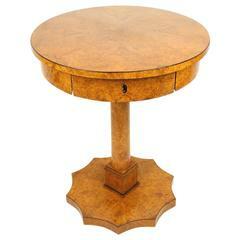 The circular top in set with St Anne marble. 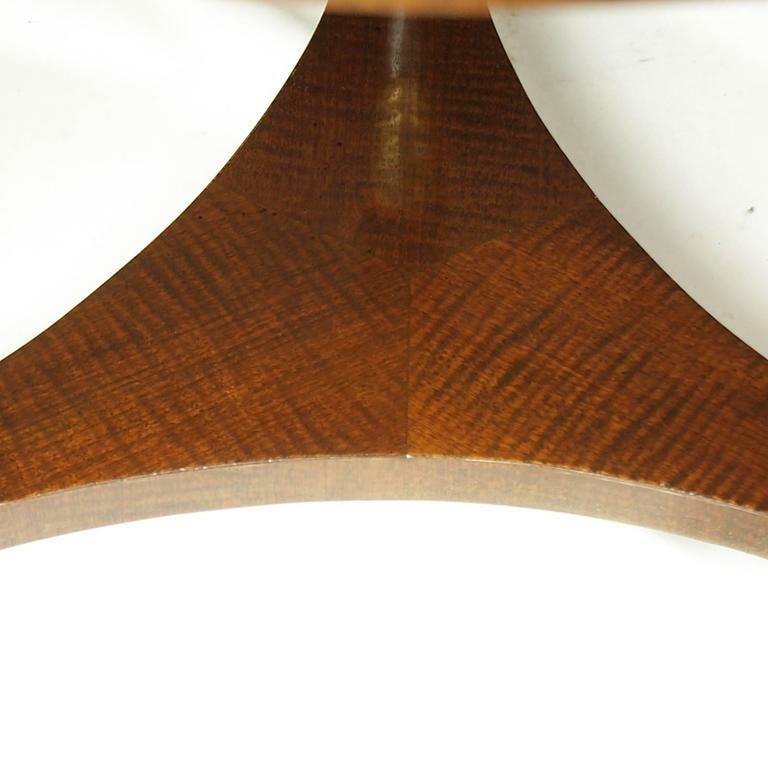 With swan neck supports and triform base.